The 6th Cookham Bridge Charity Golf event took place on 7th July at The Lambourne Golf Club with all proceeds earmarked for Thames Hospice. The event was supported by Bernard Gallacher who at the age of 20 was the youngest player to represent Great Britain in the Ryder Cup. Although Bernard had planned to play a round in the competition he was taken unwell prior to the event. 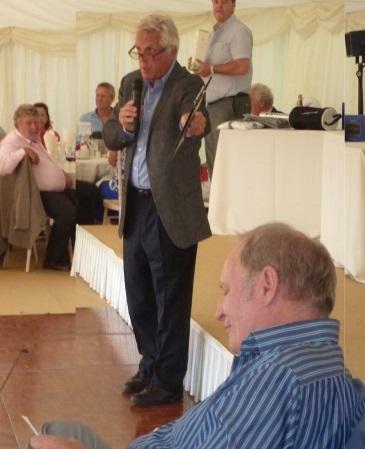 Fortunately Steve Rider, the well-known sports presenter, and previous anchorman of ITV's football coverage, stepped into the breach both as player and auctioneer. He also gave a humorous after-dinner speech which was very well received by the players and guests. 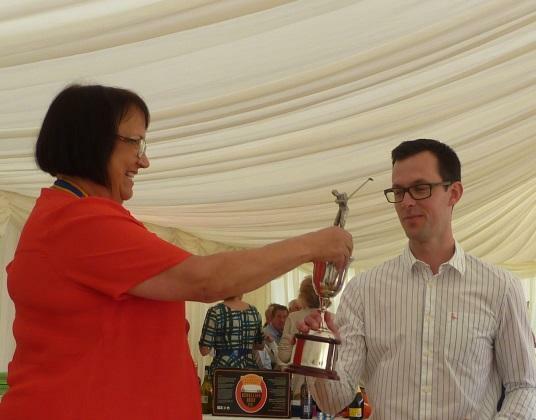 The event attracted 18 four-ball teams who competed for the Clerkenwell Cup as well as attractive prizes. 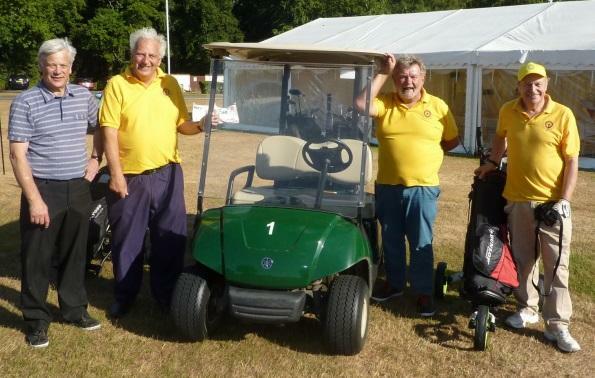 The main event was supplemented with extra prizes for nearest the pin and straightest drive but no-one came near the hole-in-one that would have won the car on show from Bourne End Motor Company. Other events were a putting competition and a popular innovation the lost ball sweepstake. After a close finish the event was won by Rabobank Pocket Aces (94 points), closely followed by Ruscombe Landscapes (93) and Three-putters (92). Following suitable refreshments teams adjourned to a marquee for a buffet supper and were entertained by Steve Rider and the Charity auction. 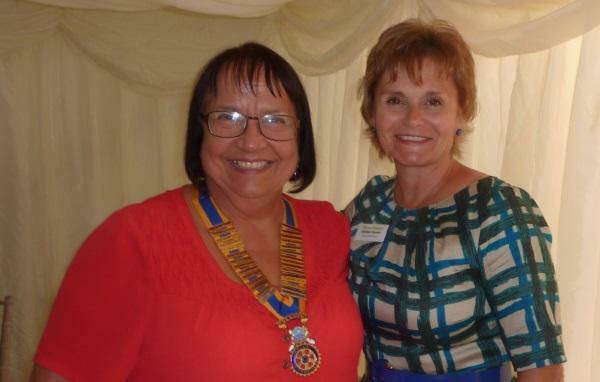 Debbie Raven the CEO for Thames Hospice gave a brief overview of the work of the hospice and thanked the teams the Rotary Club for supporting the event which raised £4500 for the charity.